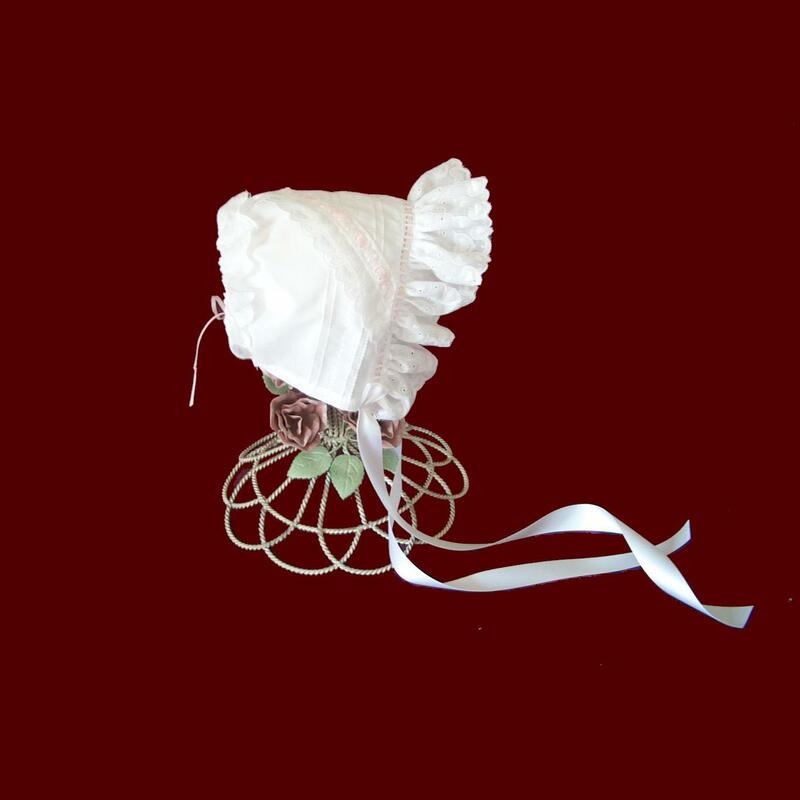 Beautiful white cotton batiste bonnet for your precious baby girl has pale pink or white pintucks and satin ribbon detail. Ruffled heart embroidered lace frames her face while the back casing has the ability to adjust the size. Removable flannel liner (not shown) attaches with Velcro for coolor climates. Satin ribbon ties. Irish accents are available on all items on this website. Heart embroidered lace shown no longer available, a floral embroidered lace will be substituted.